If you’re a big international phone chatter, MagicJack Plus is right up your alley. Say you have family overseas and speak with them all the time. Obviously, calling from a regular land line is not the way to go. Vonage or another voice over IP phone service is a better option as you can pay a monthly fee for international calling. MagicJack, in my opinion, is the best international calling option. You just pay $20 annually along with the initial extra $30 of equipment. You get free international calling with the lowest rate plan available. What’s best of all is you can give family members a local NYC number abroad and you both can talk for free! Pretty cool, right? Now, MagicJack has a new product called MagicJack Plus. The difference is that MagicJack forced you to plug it into your computer directly whereas Plus enables you to plug the product into your modem / router. With the MagicJack Plus, you can use it from any of your phones without requiring your computer to be on with the software. The Plus product is $10 more at $30 per year which is definitely worth it. 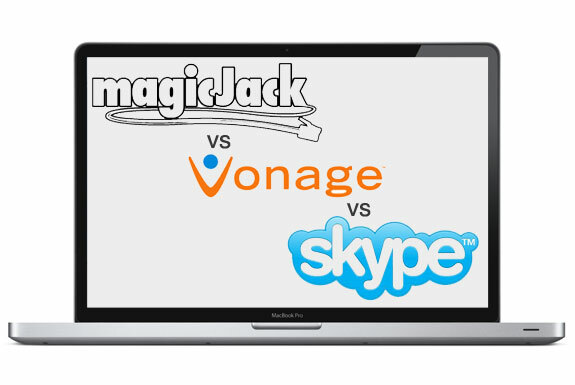 How does Vonage voice over IP compare to MagicJack Plus? Cost: Vonage is over $300/year. MagicJack Plus is only $30/year. Travel: Vonage requires an adapter and additional equipment. With MagicJack Plus, you can just pick it up and go. Call quality: Vonage relies on your Internet setup connection. MagicJack Plus uses its own dedicated phone network. How does Skype compare to MagicJack Plus? Skype requires a computer to be actively on with software launched. MagicJack Plus doesn’t. Also, Skype charges up to $72 for a phone number and $24 for a voice mail while MagicJack Plus doesn’t. The computer setup or phone IT setup for MagicJack Plus is really a piece of cake. I definitely recommend going with it if you’re a big traveler or international caller.